English, Spanish, and some German. I am a certified Wellness Coach, USA Cycling Level 3 Coach, and USAT Level I Triathlon coach. 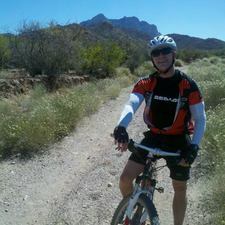 I enjoy recreational mountain biking and road cycling and also competitive triathlon and cycling events. when I am not cycling or working out I work as a School Psychologist helping disabled students better access the public education system.